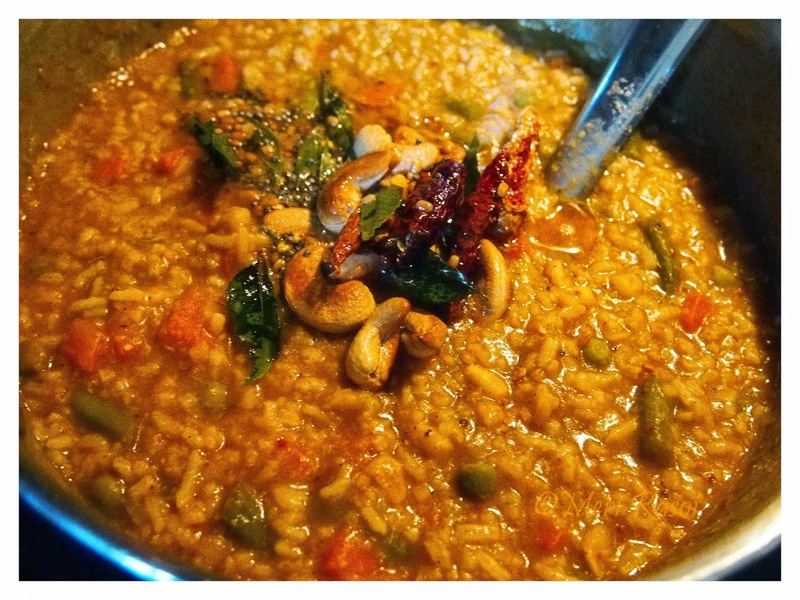 Today, I will be sharing with you all a delicious and healthy recipe of BISI BELE BHAAT which translates to HOT LENTIL RICE . 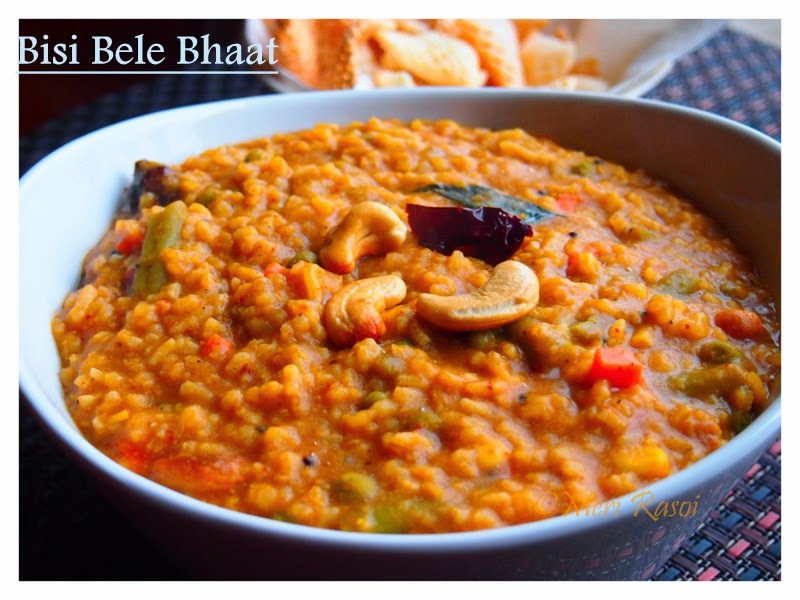 Bisi Bele Bhaat is a popular rice-lentil-vegetable based dish that belongs to the Karnataka cuisine. But believe me, each region within the state prepares it in a slightly different way. 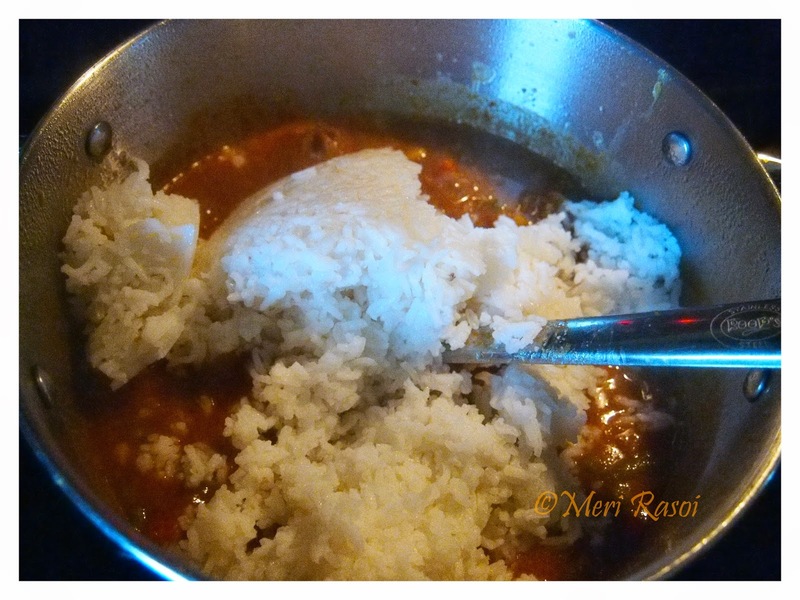 I will be sharing a recipe to prepare this delicious and healthy rice preparation from scratch. This is how my mum makes it and I have grown up eating it ,enjoying it and now, I too make it the same way. To prepare the spice mix: Dry roast urad dal, chana dal, coriander seeds, cumin seeds, cloves, black peppercorns, fenugreek seeds, green cardamom and cinnamon in medium heat. Once done, set it aside. Now dry roast the dry dessicated coconut on low heat. Take care not to burn the coconut. Set it aside. Lastly heat 1 tsp oil and fry dry red chillies. Now grind all the ingredients together to get a fine powder using a Dry grinder or coffee grinder. Bring enough water to boil in a large vessel. 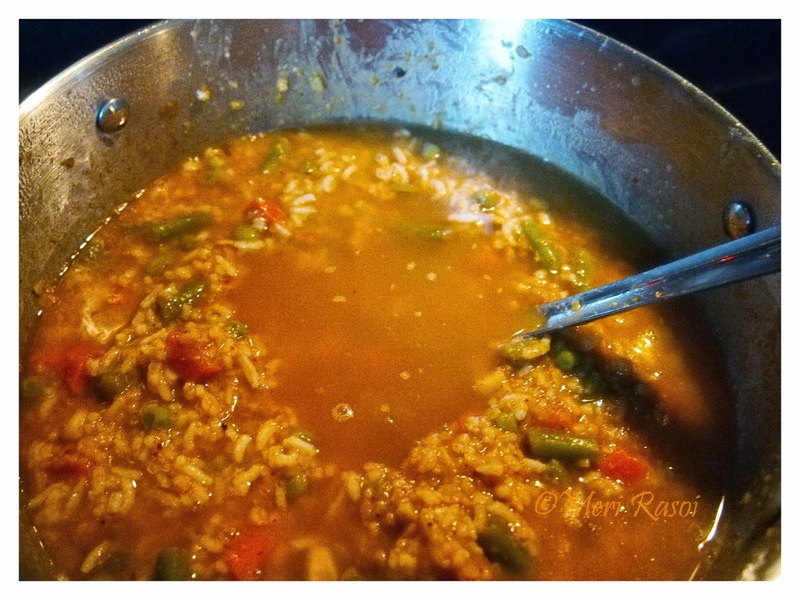 Add washed rice and reduce the heat. Cook until the rice is soft. Turn off the heat and drain the water. Set this rice aside. 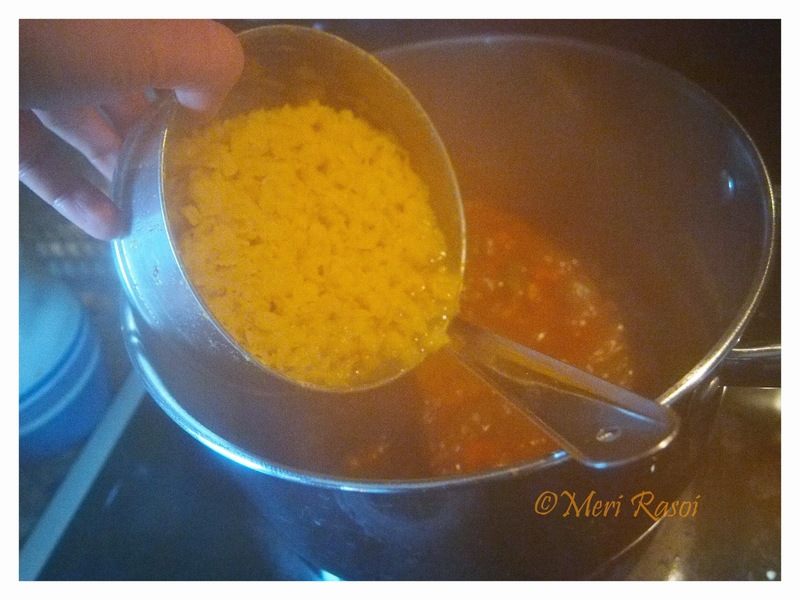 Take washed lentils, add 1.5 cups of water, 1/4 tsp turmeric powder and 1 tsp oil. Pressure cook the lentils for about 3 whistles. Set it aside. 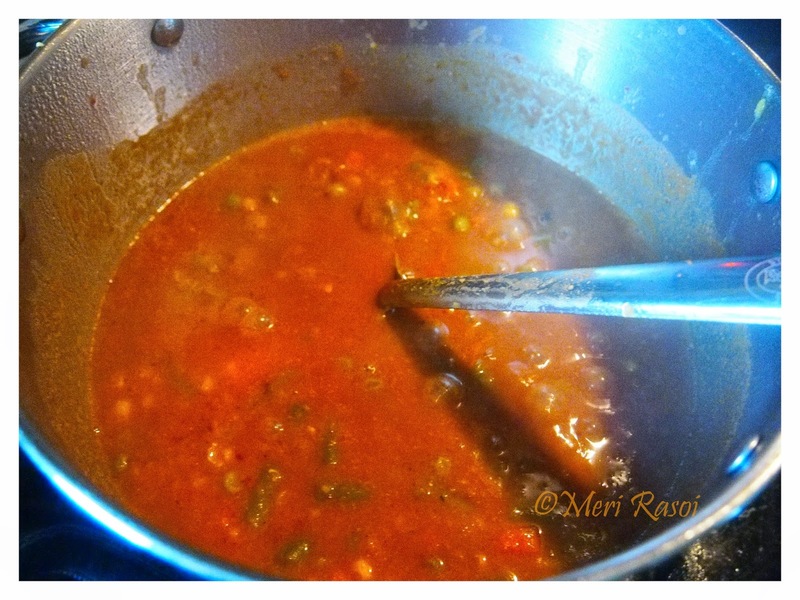 (You can cook the lentils directly on the cook top but it will take a much longer time). 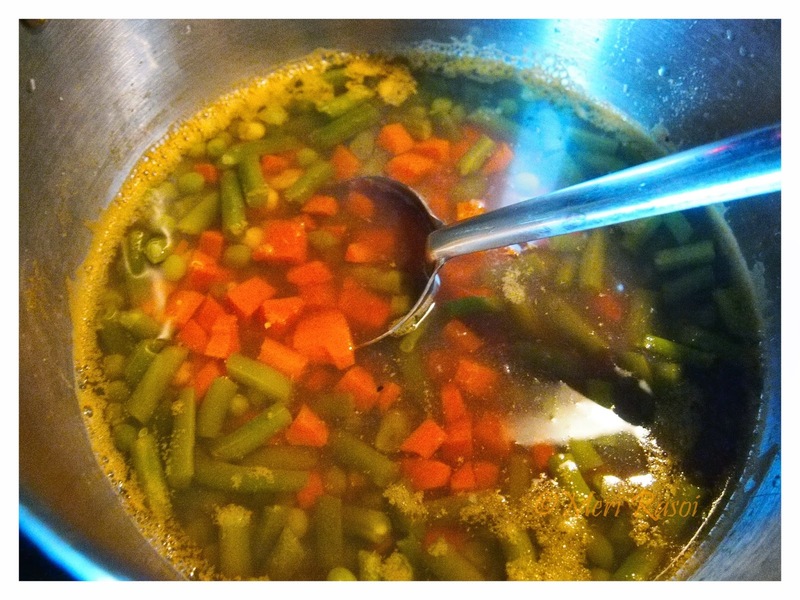 Cook the vegetables (carrots, green beans, peas and corn) in 4 cups of water. 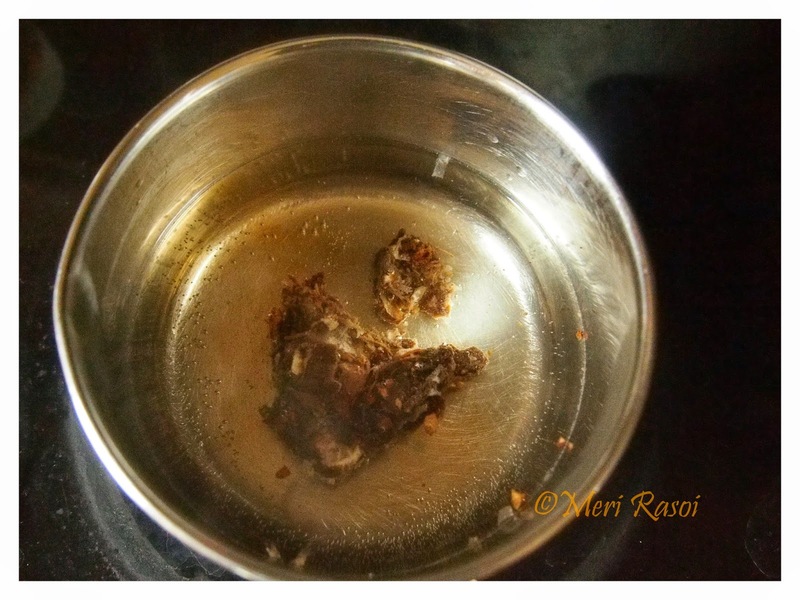 While the vegetables are getting cooked, soak the tamarind in half a cup of hot water. Add 1/4 tsp salt to it and let it soak. After about 20 minutes,mash the tamarind a little with your fingers and then extract the pulp. Separate the tamarind pulp/ water. Set it aside. 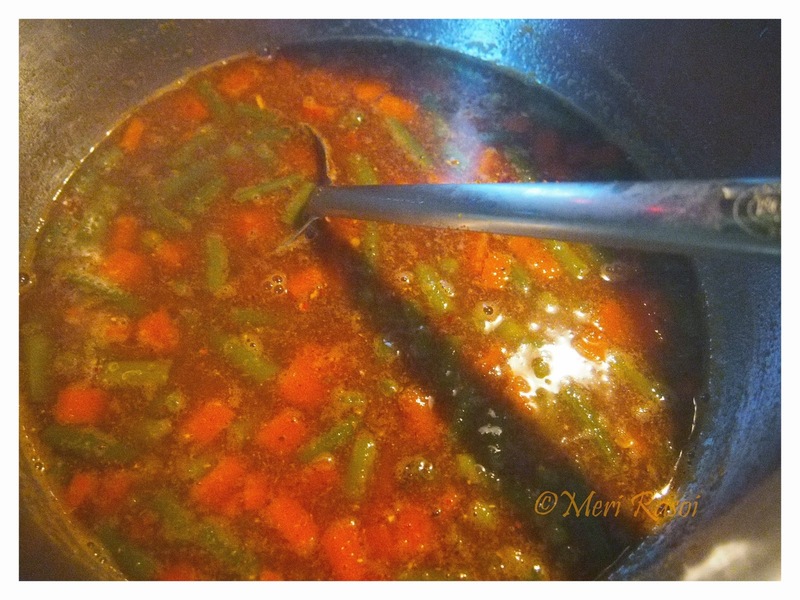 Once the vegetables are cooked, add in the tamarind extract/water , jaggery and the BISI BELE BHATH spice mix. Cook for 5 minutes. Add in the lentils and mix well and cook for 5 minutes. Add in the cooked rice. If you think, the consistency is too thick then add some water to get the consistency right. 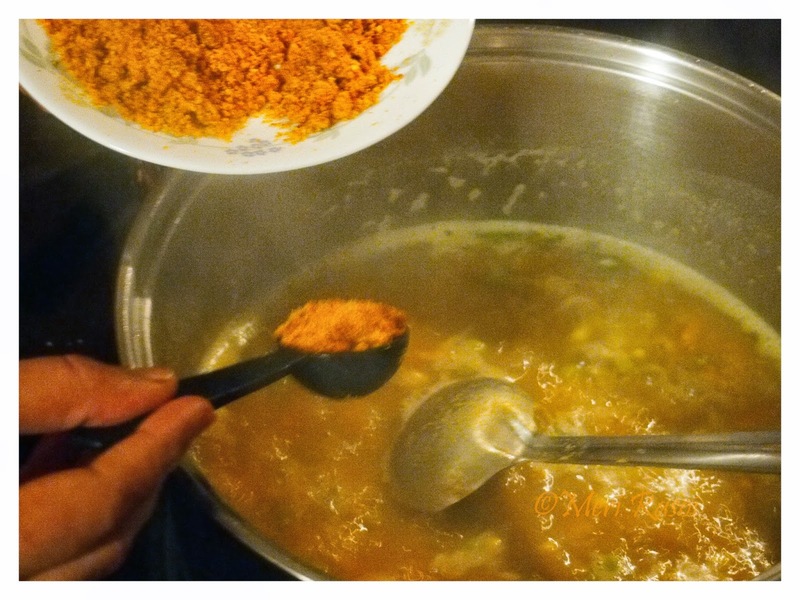 Add the salt and asafoetida and mix well.Once the rice-lentil-vegetable mixture is attained the right consistency, turn off the heat. 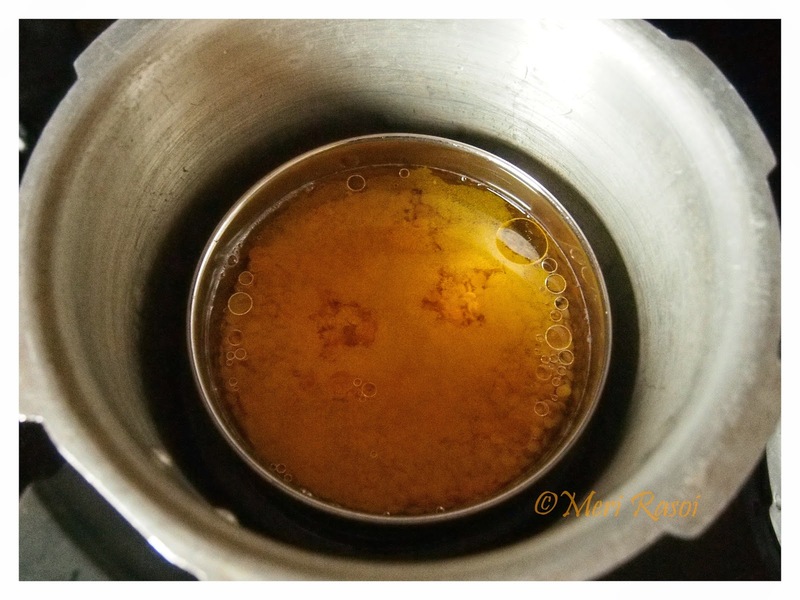 To prepare the tempering, heat 1 tbsp of ghee. When hot, add the cashew nuts. When the cashewnuts have slightly changed in color, add the mustard seeds, urad dal seeds / Black gram, dried red chillies and curry leaves. 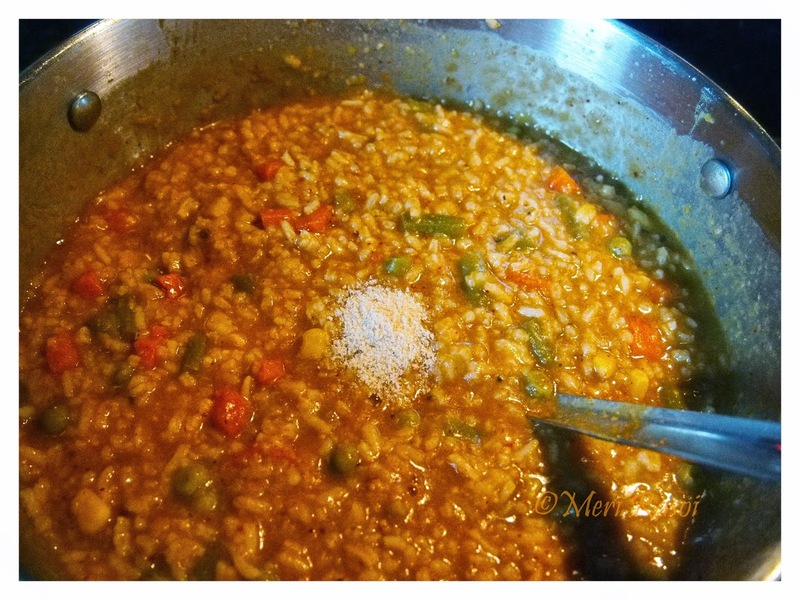 When the seeds start to splutter, add this tempering to the prepared hot Bisi bele bhath.. Serve piping hot Bisi Bele Bhath with poppadams. Its Mouth Watering dear!! !Loved it and beautiful presentation! Bisibelabath looks really really tempting..I love this rice to the core.Veggies,lentils and rice in one go. 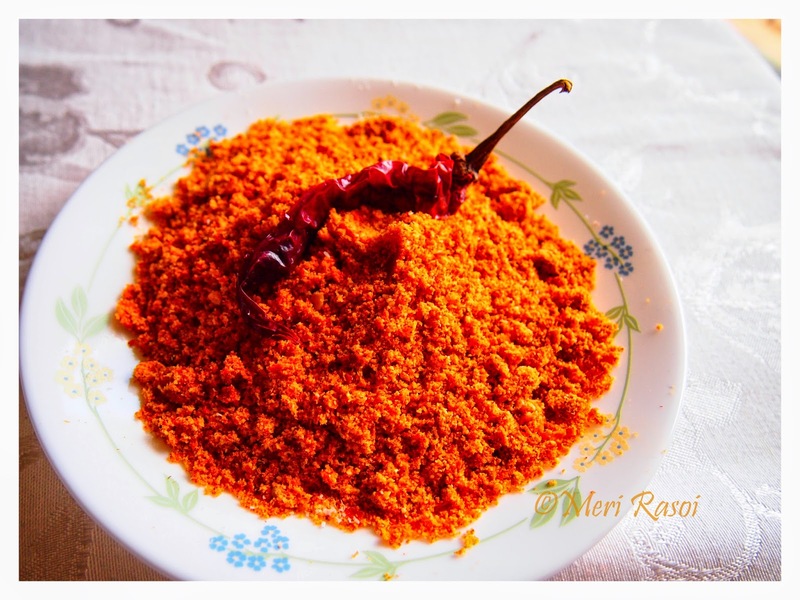 its a curry dish?...looking interesting..instead of using tamarind can we use dry mango powder? Yum yum, love to have this with beans thoran and pappadam, ur look too too tempting. Looks good! You haven't added onion & tomato ? Are they not needed? 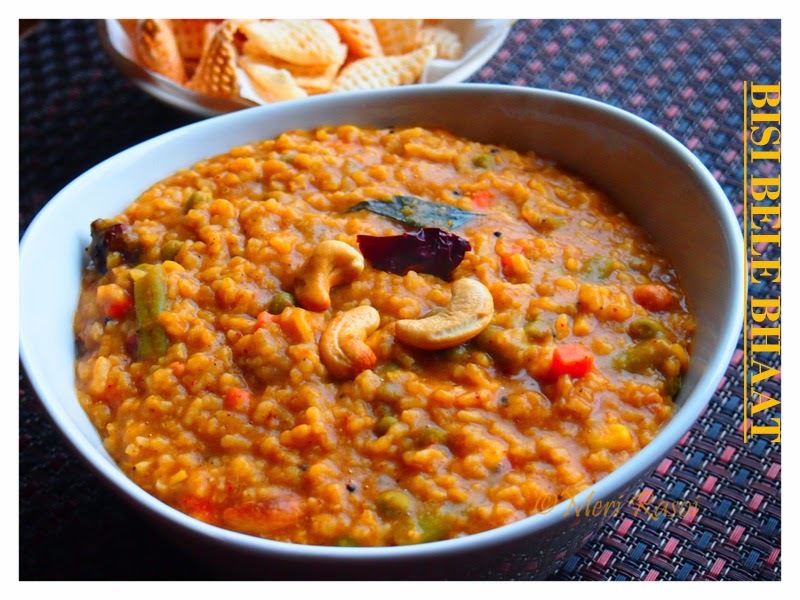 Bisi bele bhat look delightful with nice presentation. The all time fav in my family. My sibling simply love when mum makes. Me? perhaps once a while. Definitely it look so tempting. Beautiful presentation, Shubha! 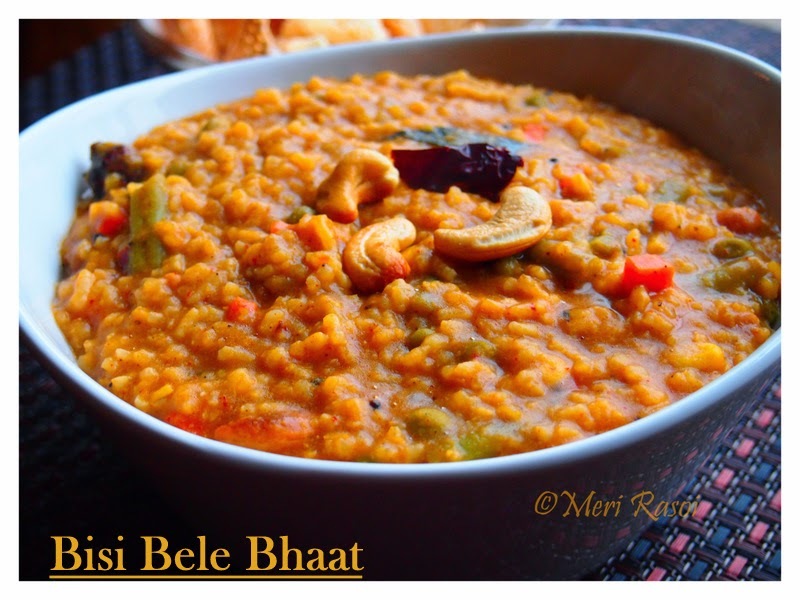 I love this dish and always, this name "bisi bele bhaat" sounds so intriguing to me! thanks for sharing recipe! yumm! wonderful bisibele bath dear Shubha. So delicious! Always a favorite. This is tempting me to prepare some ASAP!